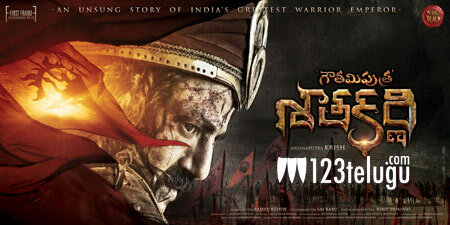 Balakrishna’s Gauthamiputra Satakarni which released as Sankranthi special is continuing its dream run in all areas. Buyers, who bagged the distribution rights of this movie will be barging towards breakeven by the end of this weekend. Overwhelmed by the response, noted producer Sai Korrapati, who bagged the ceded area rights of GPSK said that Balayya has a strong hold in ceded and this made him bag GPS at fancy prices. He also added that the film will be break-even by Sunday. Directed by Krish this historical drama has Hema Malini in an important role.